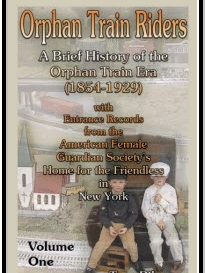 The stories of over 400,00 orphan train riders from the years 1853-1930. Over 250,000 children were transported from New York to the Midwest over a 75-year period (1854-1929) in the largest mass migration of children in American history. As many as one in four were Irish. This history of the postal service, from its inception over 6,000 years ago to the modern and efficient service we enjoy today, chronicles the deeds performed on and off the job by the men and women of the U.S. Postal Service. This tribute to the 790,000 men and women employed by the U.S. Postal Service includes stories about courage and kindness, heroism and humor. The Incredible Story of an Orphan Train Rider and Civil War Drummer Boy Who Grew Up to Become the Governor of North Dakota. Happy Valley School was an outgrowth of the work of The Five Point House, a private charitable foundation organized in 1850 to relieve the distressed conditions of an area in New York City known as the “Five Point District.” It was a country home school for boys and girls in the first through the eighth grades, from six to eighteen years of age. It was dedicated to the service of children whose homes had been broken or who would benefit from school experience in homelike surroundings. This novel has it all: adventure, edge-of-your-seat action scenes, martial arts, a little history, and a touch of romance.Marvel at John Brady’s survival of childhood hardships, join him as he ventures into the rugged Alaska Territory in the late 1800s.